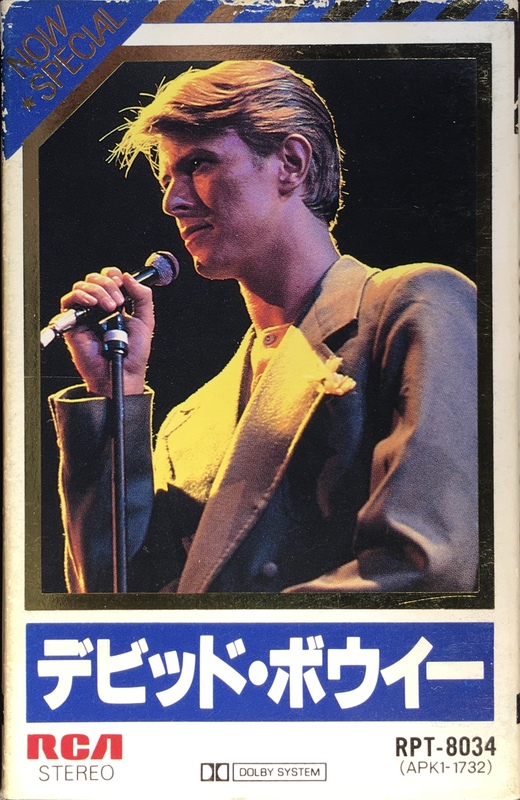 Changesonebowie: Japan; RCA, RPT 8034 (APK1-1732); 1980. 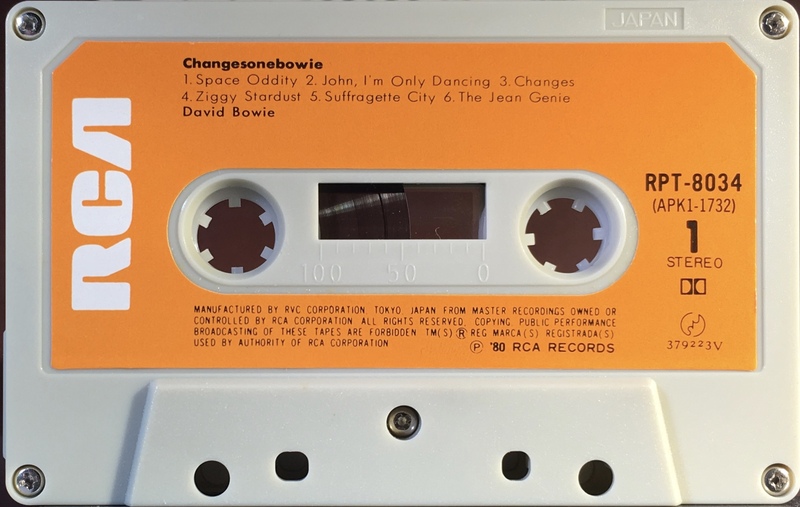 Orange label with solid white RCA on grey cassette; manufactured by RVC Corporation. Tokyo, Japan. Comes with a lyric/ information page on light paper that folds into the tape box. 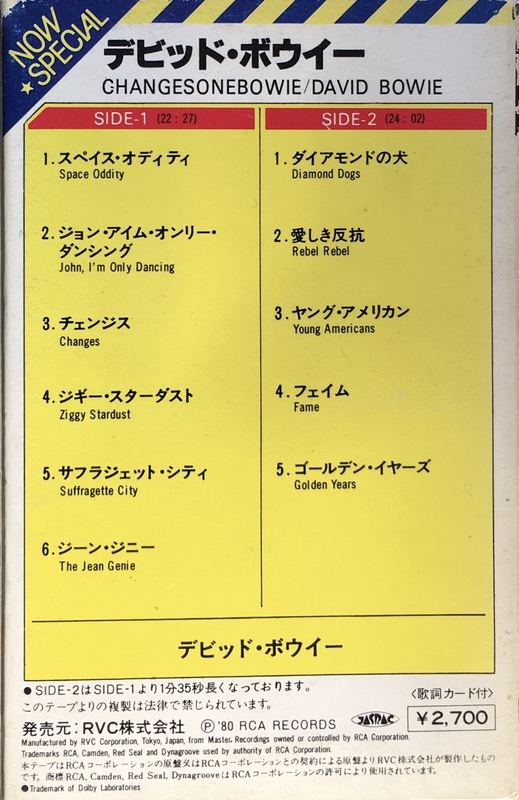 Side 1: Space Oddity; John, I’m Only Dancing; Changes; Ziggy Stardust; Suffragette City; The Jean Genie. 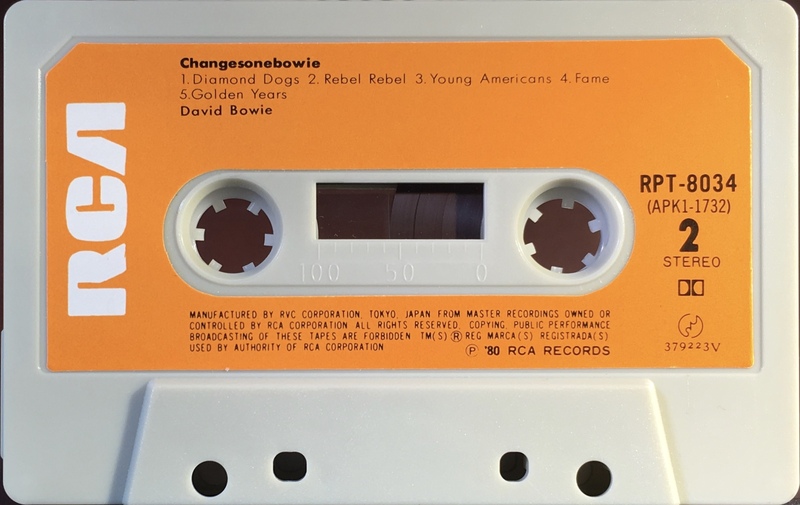 Side 2: Diamond Dogs; Rebel Rebel; Young Americans; Fame; Golden Years.